If you have misaligned teeth, then having an examination with three-dimensional images from an orthodontist can determine whether you need treatment and the best types of braces available for your needs. Each person receives customized orthodontics to repair their malocclusions, and in many cases, Dr. Papandreas can give you a choice concerning the variety of treatment you use. 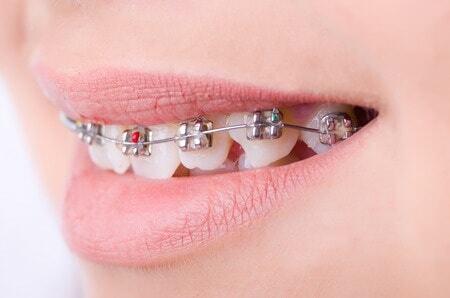 Metal braces are also used with other orthodontic devices to repair abnormalities of the jaw or palate. Dr. Papandreas uses computer software to determine exactly how to arrange the thin metallic wires around your teeth. These wires are attached to small metal brackets to apply gently pressure against the teeth to realign the teeth into the appropriate positions. A patient may prefer modern ceramic braces because the devices are more difficult to see inside the mouth. Ceramic braces are similar to metal braces, but the brackets are made of a ceramic material that is 100 percent clear or made to match a patient’s teeth perfectly. With ceramic braces, a patient is able to avoid the appearance of having a mouth filled with shiny metal. In most cases, ceramic braces are selected by teenagers and adults. It is also possible to have clear or color-matching wires to have braces that are almost invisible. A patient must visit Papandreas Orthodontics on a regular basis to have the color-matching wires tightened slightly to apply pressure against the surfaces of the teeth. Patients with mild to moderate malocclusions can wear removable clear aligners (Invisalign) to reposition their teeth. These devices are suitable for adults or teenagers and are customized to fit over the teeth. 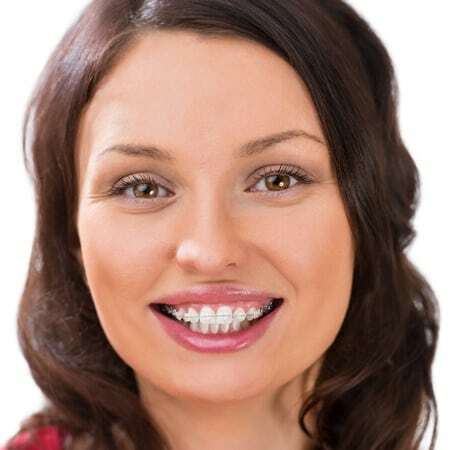 A patient will wear a set of these aligners for approximately two weeks before switching to a new set that is made in a different configuration. Most patients require 20 to 25 sets to realign their teeth in six months to one year. These devices are simple to remove in order to brush and floss the teeth to prevent cavities and halitosis. To have a complete examination to learn more about braces, you can visit Papandreas Orthodontics in North Royalton or Brunswick, Ohio. Dr. Samuel G. Papandreas offers a complimentary consultation to his new patients. To schedule an appointment, use an online form or make a telephone call to 330-558-9092 or 440-582-8585.